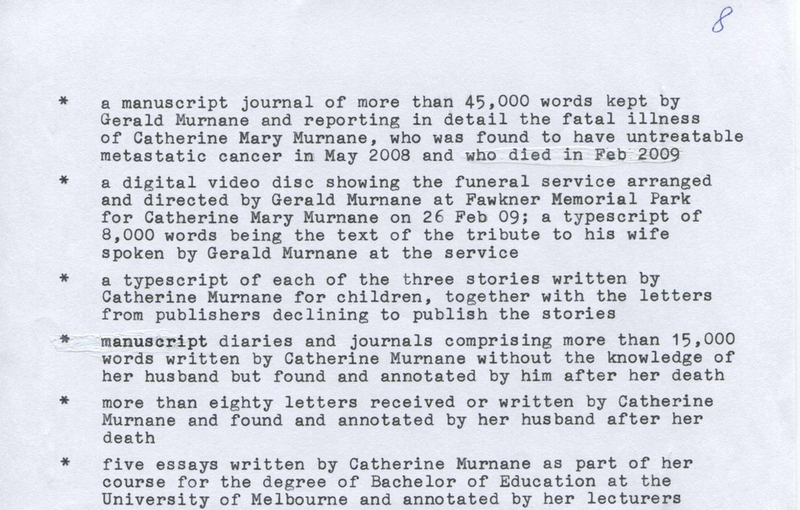 Music & Literature is proud to debut the complete and comprehensive catalog of Gerald Murnane's remarkable personal archives. Murnane is the reclusive Australian author of eleven works of fiction, including A Lifetime on Clouds, The Plains, and Barley Patch, and one collection of essays, Invisible Yet Enduring Lilacs. 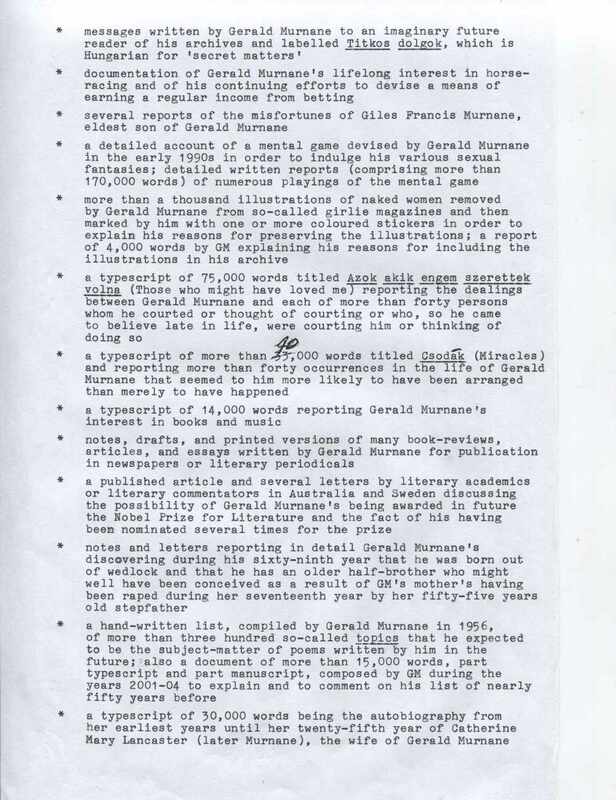 In addition to these publications, Murnane has for decades accumulated an impressive collection of literary, personal, and creative manuscripts, including his legendary Antipodean Archive, founded in 1985, which contains an expansive Henry Darger-like fictive universe of horseracing, romantic obsession, and overlapping imaginary realms. 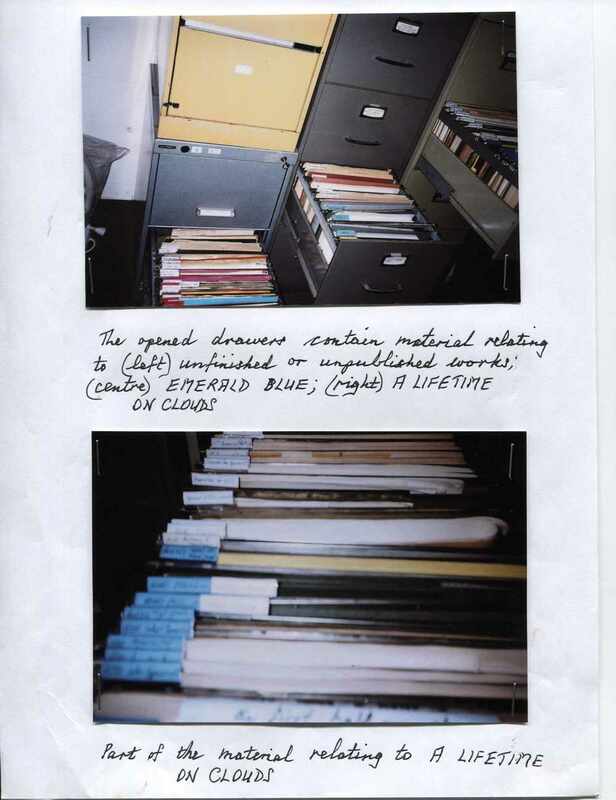 Murnane has stated that these archives will not be made public until after his death, but here we are given a glimpse into his many worlds. Revered in his home country and deemed "a genius on the level of Beckett" by Teju Cole, Murnane is regularly rumored as a candidate for the Nobel Prize. 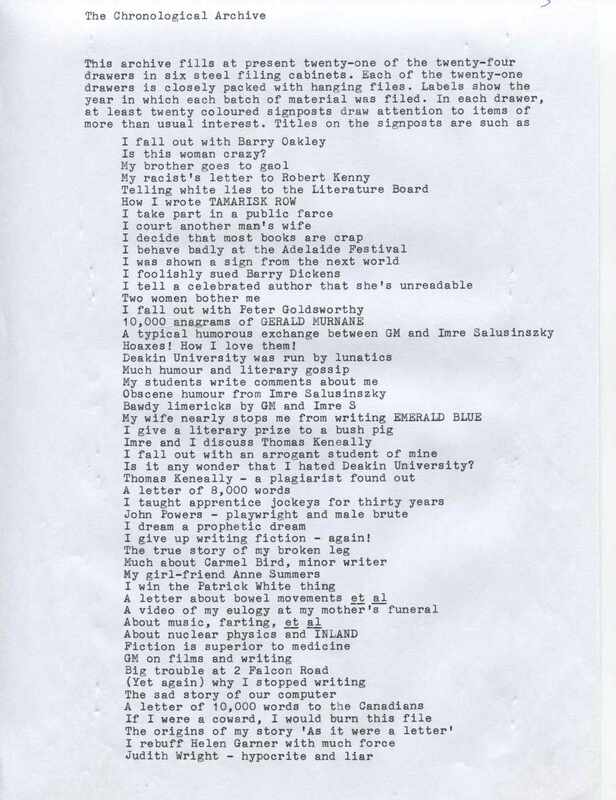 Music & Literature no. 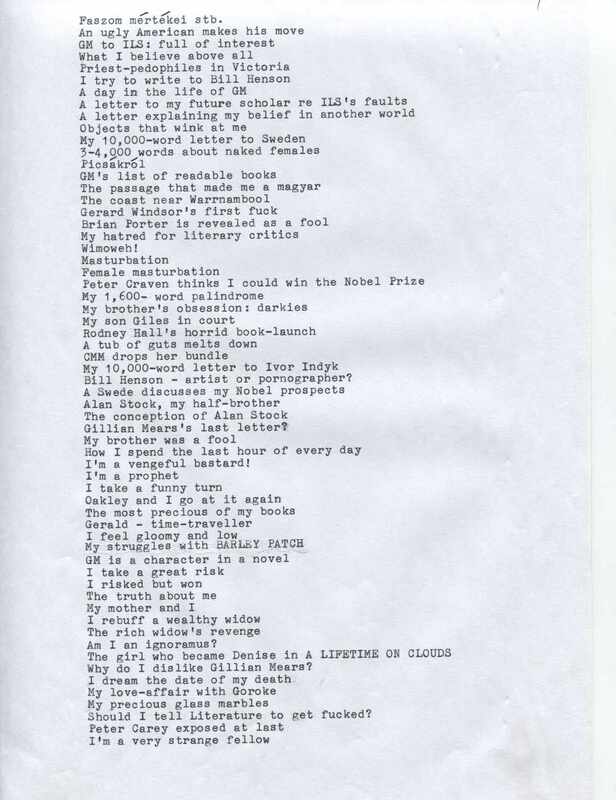 3 collects over 100 pages of exclusive materials exploring and celebrating the writings of Gerald Murnane. The contents of the issue and purchasing options can be found here. This listing and accompanying photographs have been prepared by Mr. Murnane and appear here with his permission.